The traits that keep businesses competitive – agility, security, and scalability – are almost entirely dependent on the capabilities of the data center. But against modern demands, traditional data center architectures are prone to hitting performance walls, leading many enterprises to a more viable alternative – software-defined infrastructure. 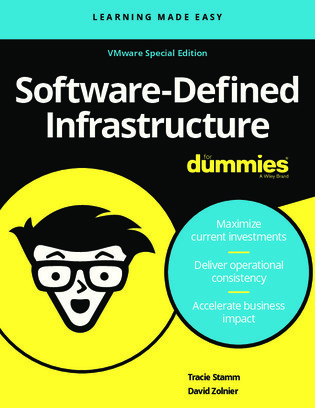 In this “For Dummies” guide, learn about the basics of software-defined infrastructure including common reference architectures, ideal use cases, and more, and find out what a software-defined infrastructure might look like in your own enterprise.